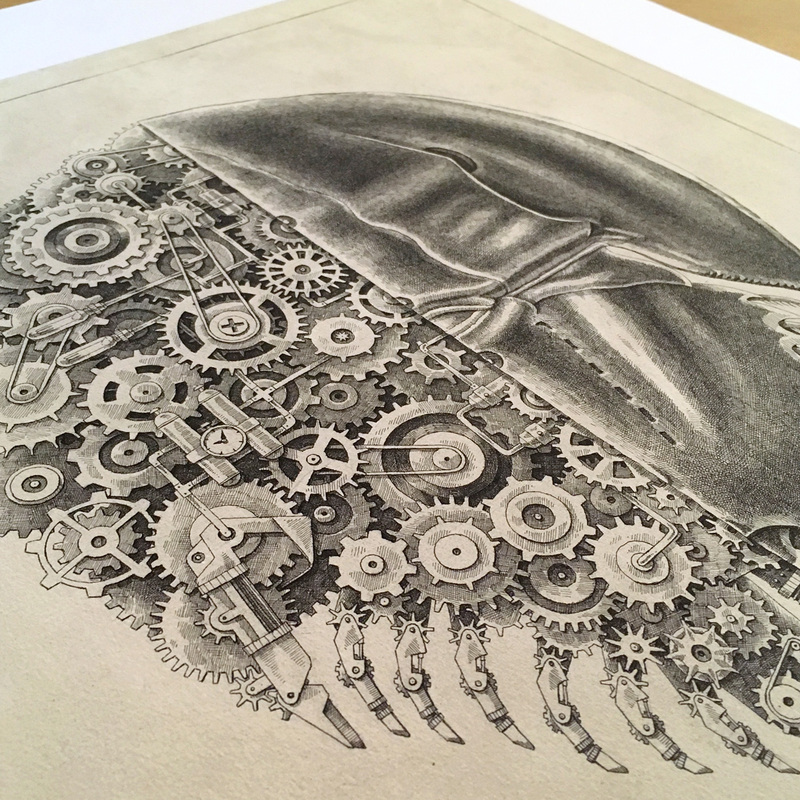 Steeven Salvat is a French artist specializing in drawing, inspired by antique black and white engravings and adding a personal touch of modernity. 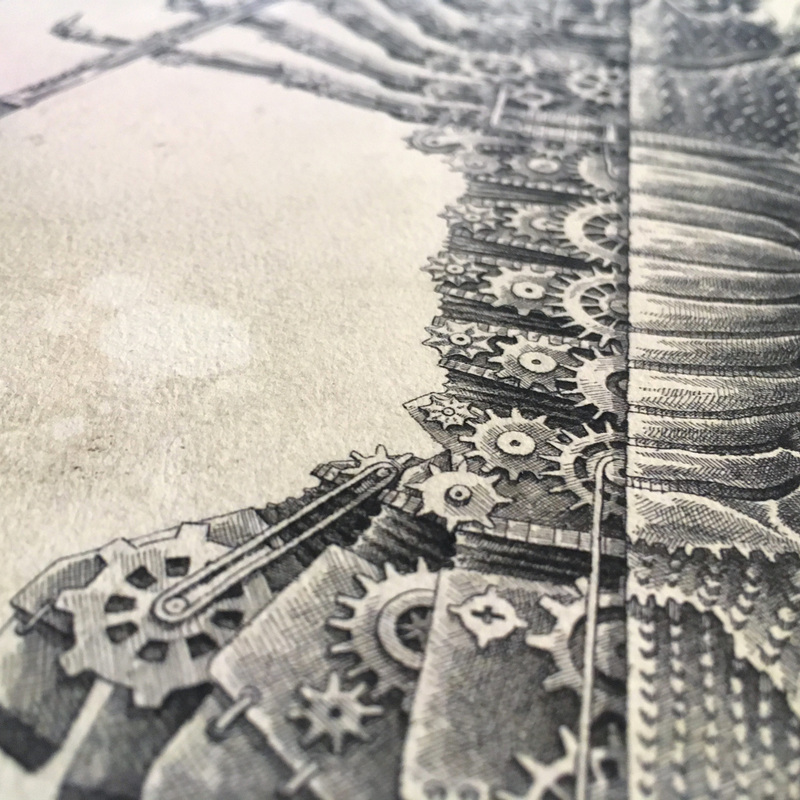 Having developed an illustrative technique where he combines the Indian ink and Rotring pen, the many curves of each of his drawings are carefully drawn. 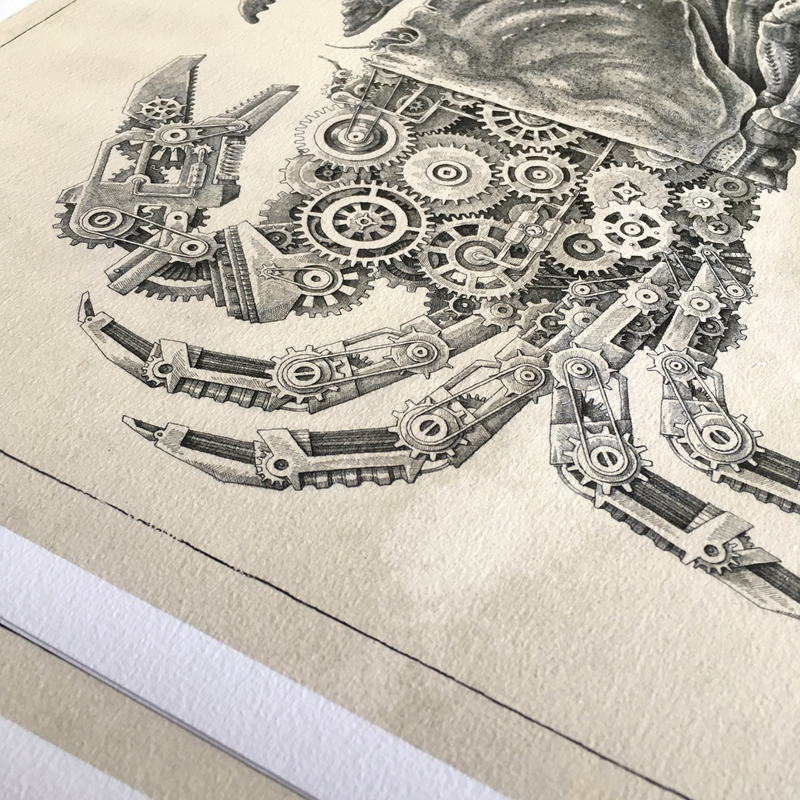 Working his works for hours and hours, rendering is close to perfection. 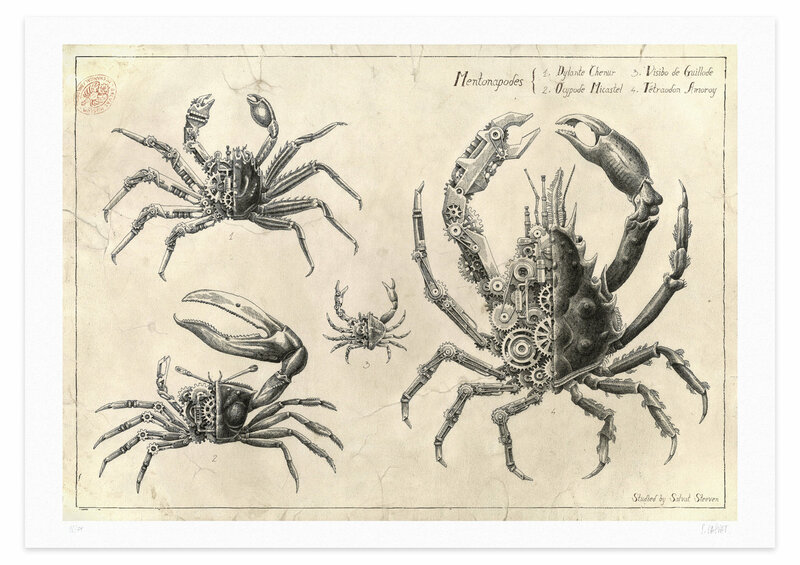 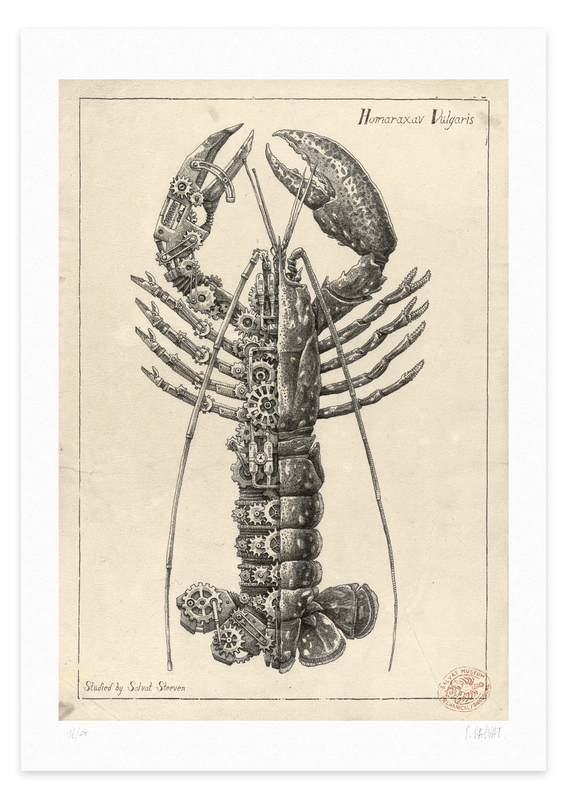 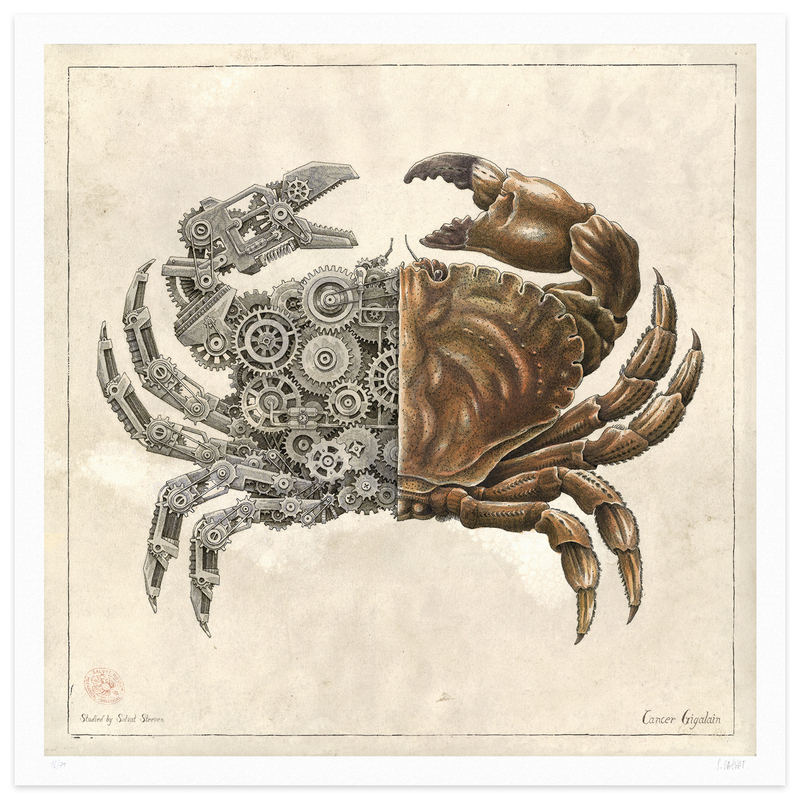 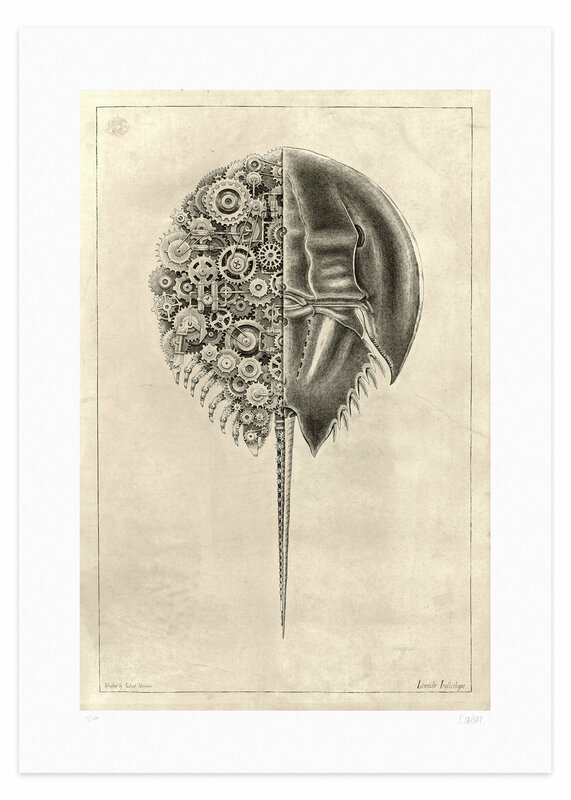 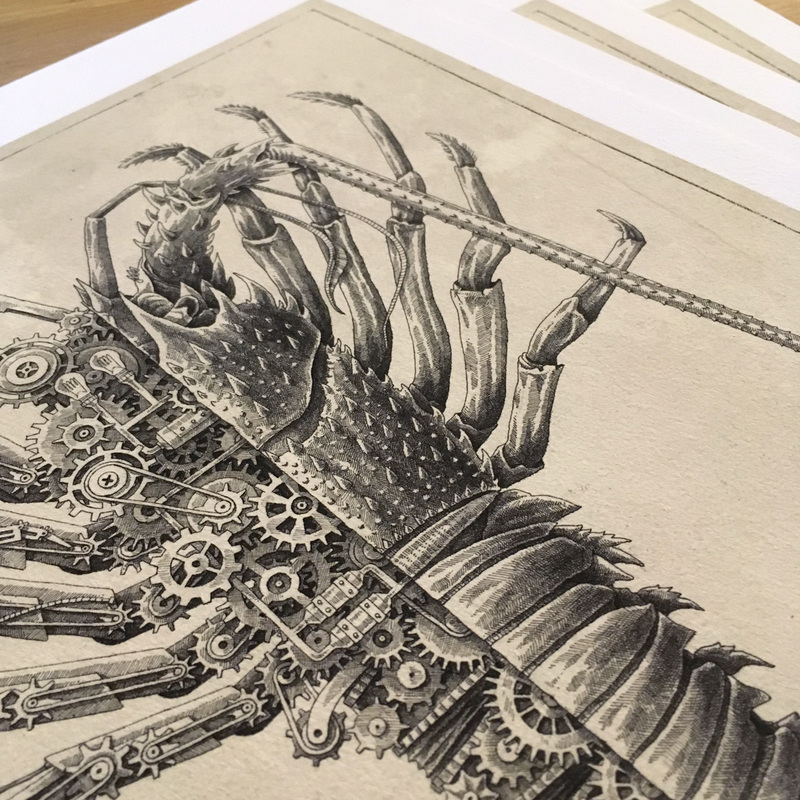 He has also published a series of illustrations representing mechanical crustaceans, which seem to come alive in front of our eyes and coming from a distant time.